As Christians around the world draw nearer to the celebration of Easter, the day in which we celebrate a risen Lord, many will pause to remember the story that brings us to the resurrection. In many traditions, the church calendar during Holy Week offers many ways to remember Jesus’ journey to the cross and triumphant defeat of death. Today we find ourselves between Maundy Thursday, the day in which the church remembers Jesus’ mandate to love one another, and Good Friday, that dark and earth shaking reality of Jesus’ death at Golgatha. We remember his words of institution at the Last Supper, the words he shares as he washed the disciples feet, and the church often makes much of those last phrases he utters as death draws near. So, here in this hour, I find it worthwhile to point to more words the gospel of John shares with us about Jesus’ final hours. In a recent trip to Istanbul, Turkey a friend asked what I thought the most significant Bible passage was for Turkish Christians. I had no real idea. One might immediately assume something like John 3:16, Jeremiah 29:11, Romans 8:28, Philippians 4:13 or other oft quoted and misquoted verses of Western Christianity? No, it wasn’t any of these. In fact, it was a verse that we seldom proclaim, much less embody. This friend, whose familiarity with translation and research projects in the Turkish language suggests the validity of his analysis, pointed out that the most important Scripture passage for many (if not most) Turkish Christians was Jesus’ prayer that his believers be one in John 17. 20My prayer is not for them alone. I pray also for those who will believe in me through their message, 21 that all of them may be one, Father, just as you are in me and I am in you. May they also be in us so that the world may believe that you have sent me. 22 I have given them the glory that you gave me, that they may be one as we are one— 23 I in them and you in me—so that they may be brought to complete unity. Then the world will know that you sent me and have loved them even as you have loved me. What a powerful moment in John’s gospel. 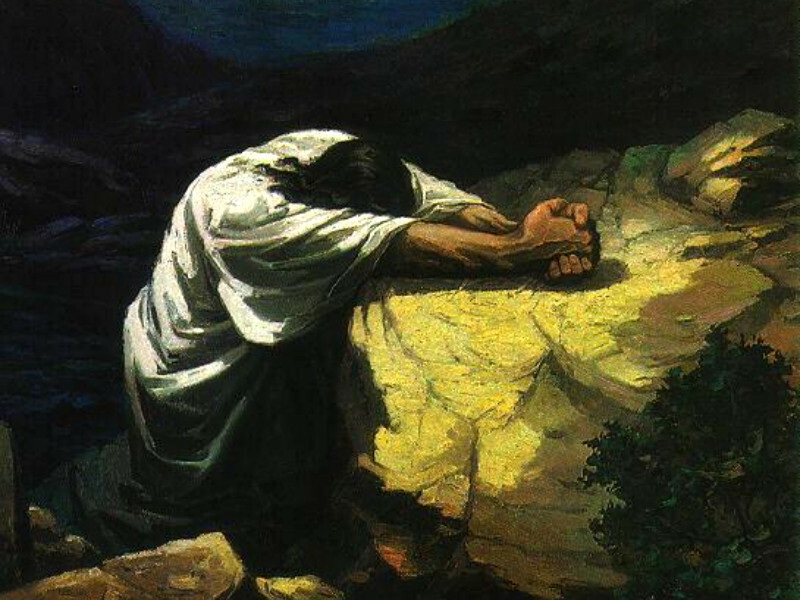 Here, in full awareness that the time was soon coming, and with his arrest looming in chapter 18, Jesus prays. He prays for his own glory with the Father. He prays for his own disciples. He prays for unity in all those who follow him. As we journey to the cross today, remembering the sacrifice and suffering of Christ, may we pause also to consider the power and significance of the Savior’s prayer for unity. Struggles for power mark our landscape. Desires for harsh boundaries and neglect of solidarity seem to cover the horizon. Where are those whose desire is unity? Where are those who would speak on behalf understanding and conversation rather than conflict and condemnation? In a world full of harsh rhetoric, over-generalizations, emblazoned hatred, overt divisiveness, and frequent controversy, we would do well to place this prayer in our sight. Shouts for division so often ring louder than those for peace. Noise from calamity can seem to drown out the voices of unity. Yet, cutting through the shouts of discord, the calamity of the coming cross, and the weight of the impending death is heard a single solitary prayer of the Messiah. Oh, that they would be one, utters the Son of Man. On this Good Friday, this day that we remember the events which led to the death of the Lord, may we each pause to imitate Christ’s prayer in this way: Pray. Pray for those who believe in His name, that they might be one as He and the Father are one. Pray for those who will believe in Him,that all of them may be one. Pray that those who follow Jesus come to know, embody, and advocate for unity in Christ. On this Good Friday, this day that we remember the events which led to the death of the Lord, may we each pause to imitate Christ’s prayer in this way: Exemplify it. Exemplify the love and reconciliation of a God who is reconciling the world to Himself in order that humankind might experience true fellowship with God, each other, and creation. Exemplify unity in the words you speak. Exemplify unity in the choices you make. Exemplify unity, that the world may know that we are His disciples by how we love one another. Next Post The Christian faith is kaleidoscopic, and most of us are color-blind.